If you’ve found mold anywhere in your home; it’s more than just an unsightly nuisance; it could seriously harm your health, and can even be fatal in some cases. That being said, surely you don’t want to end up sick, and the same goes for anyone else in your home. So the first step is to answer some questions like “How does mold end up in my house”? As well as the very pressing and main worry “How can mold affect my well being?” We’re going to answer both of these questions for you so that you know what you’re up against, and why it needs to be handled as soon as you notice the problems exist. So let’s get down to it! The first step in protecting your home and health from mold comes from knowing how it shows up in the first place; as well as some of the trickier places it’s been known to pop up. You may dutifully keep a clean home and an attentive eye, but as you’ll see mold is a patient sort of thing. it’ll grow without your awareness of it’s existence. Without getting into all of the science of what mold is, know that it boasts spores that spread mold around. A phenomenal amount of spores can even fit undetected on a stamp for example, which is what makes detection difficult at first because they are so small, they’re impossible to see with the naked eye. So once the spores exist, they just need the right environment and conditions to turn into mold. That environment is simply moisture and air, as such you can only really control mold and it’s growth, but you’ll never be able to entirely remove spores from an area. So where do you start to look? Leaky areas – Bathrooms, Toilets, Showers, under sinks especially. Areas with potential slow leaks – Behind or under the fridge. Your washing machines. You can remove mold by cleaning it with harsh chemicals but it isn’t easy. It is far easier (and a much better idea) to get rid of whatever mold is growing on; carpets and padding, furniture etc. However since mold can form on virtually any surface this could become costly or impossible; such as if it’s growing on your basement foundation or inside the walls of your home due to leaking pipes. Some suggest moving if you’re able to as a sure fire defense but, life is rarely that accommodating, and even still unless you’re renting, we wouldn’t suggest this as an option. However once you’ve gotten rid of the mold or whatever it was growing on, you’ll need to control the humidity in your home through some other means or the mold will simply come back. You can learn more about it, and how to fix the humidity and moisture problems in your home by going here. As the moisture in your home isn’t going to create any beneficial types of mold, there are wide arrays of effects it can have on your health. While it can affect anyone and everyone, some people are vastly more susceptible to the illnesses that can be a result of mold exposure. If you have a weaker immune system; Chemotherapy treatments, HIV, or have had organs transplanted etc. 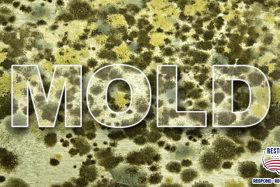 They are not just ‘that time of year’ events, or ‘something going around’, this is mold wreaking havoc on your health. The damage that can be caused is extensive, vascular issues can form into hemorrhaging tissues and lungs, digestive issues from liver damage and necrosis; right up to immune system damage and immunosuppression. There has been and still is extensive research going into the exact effects of mold when it comes to causing death in those suffering its influences. It still comes down to those worse affected; the symptoms mentioned above are the hint that something is going wrong; the continued exposure and improper treatment of the illness and the issues at home eventually wear down the sufferers system until they succumb. If you’re interested on reading a more in depth explanation on mold and its effects, you can read this very informative and in depth expansion on some of our above points. So now you have a few pieces of important knowledge in regards to mold in your home. This will allow you to know what to look for and how to stay on top of it. Detection, Removal, and proper acclimatization of your home will keep you safe from the dangers that indoor mold produces. You also now know that just because it seems like a common cold, or flared up allergies, it may be a precursor to something worse, especially if it continues to occur and worsen despite doctors treatments. Make sure to check those trouble spots, the basements and attics. The sinks and toilets, the muggy damp corners of your home; don’t let mold in, and don’t let it affect you or your family. Diligence is key in stopping that cough from becoming a serious respiratory issue, and potentially even a fatal one; those stories we’ve all heard are preventable, if we only know what to look for and how to stop it. Hopefully this has gotten you thinking about potential breeding grounds for mold that could be active in your home, so that you and yours can be safe, healthy and mold free! Suspect mold in your home? Call Restoration USA today at 1-866-745-6428 for a FREE mold evaluation!